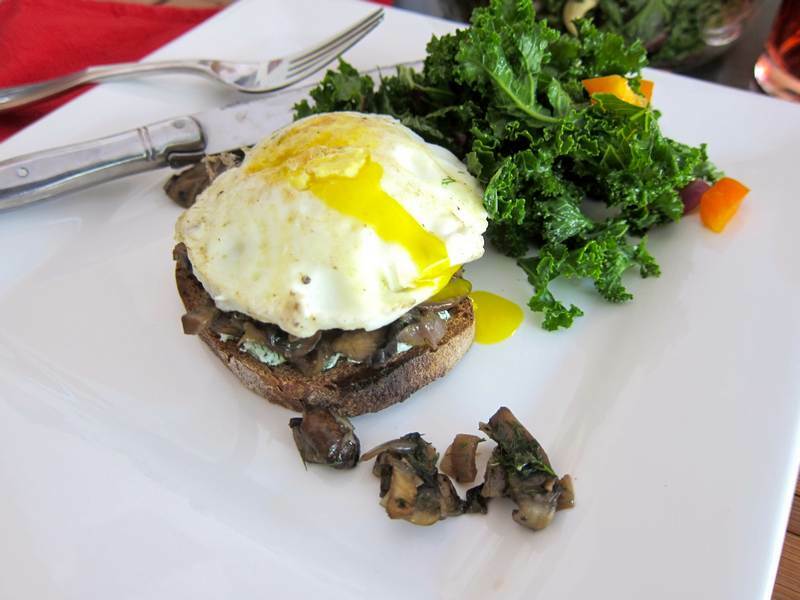 Eggs Over Easy with Mushrooms on Rye – What a Mouthful! The title of a blog post is supposed to entice you to read on while informing you of content. Had my sister/gourmet chef not forbidden me to list all ingredients in the title, I might have thrown this at you: ‘Dill Goat Cheese Sautéed Mushroom with Balsamic Reduction on Artisanal Rye and Easy Over Egg.’ Yes, it’s a mouthful, but it’s also my new favourite meal. 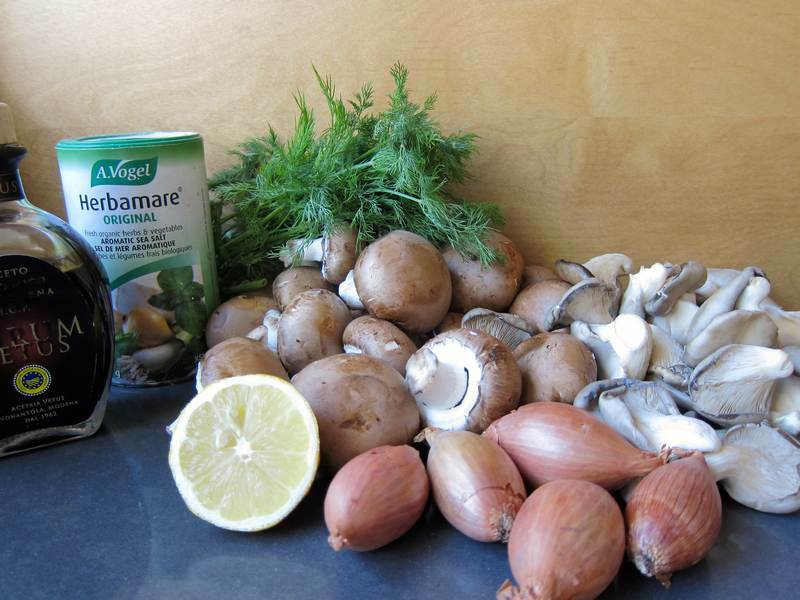 Combine ingredients in a small bowl. Cover and refrigerate if making in advance, and bring to room temp before using. Heat olive oil and butter in a large pan over medium-high heat. Cook shallots until softened. Add mushrooms and cook for about 10 minutes or until the liquid is absorbed. Add the rest of the ingredients. Spread about a tablespoon of cheese on each slice of toasted bread, cover with a generous layer of warmed mushrooms and top with an egg over easy. Serve immediately. In the same pan used for the mushrooms, cook the eggs 1 or 2 at a time over medium-low heat. Sprinkle with salt and pepper and serve as the top layer on the Eggs Over Easy with Mushroom on Rye. 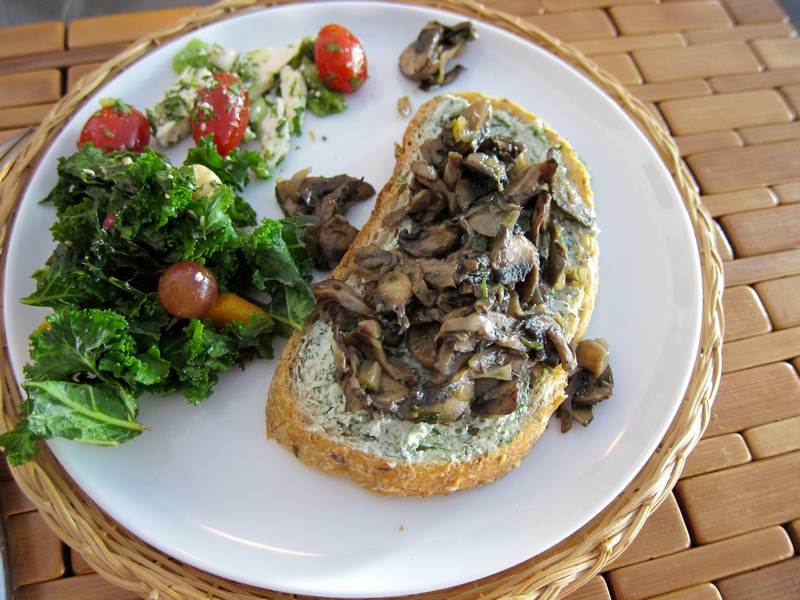 Recipe inspired by these Ramp and Mushroom Toasts. Alton Brown gives his version of cooking eggs over easy. Here are 20 mind blowing facts you never knew about Montreal. I loved this recipe. All ingredients sound delicious together. Thanks! Welcome Nadine! It is a real treat! Love the eggs and the mushrooms. Wonderful recipe. Thanks Jovina! I love the combo too! 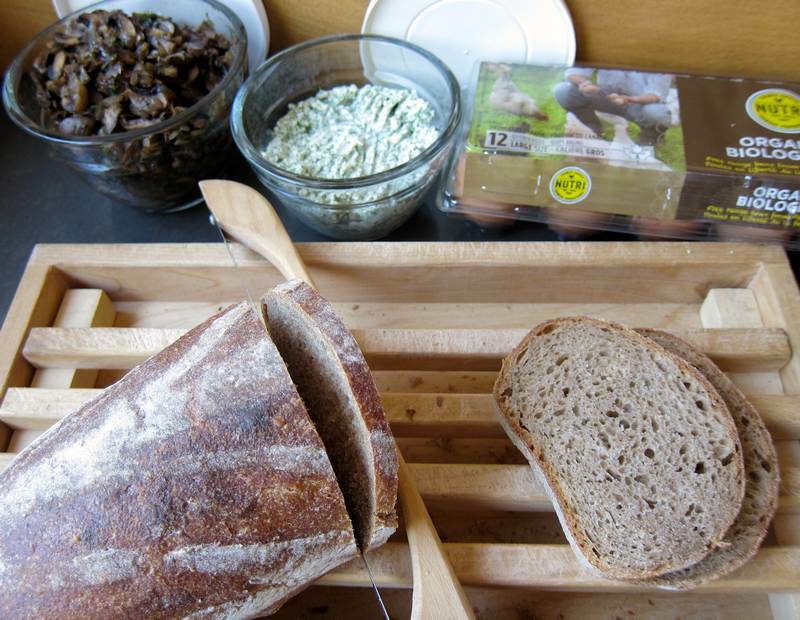 Eggs, mushrooms, goat cheese and dill! The hint of thickened balsamic put’s it over the top!